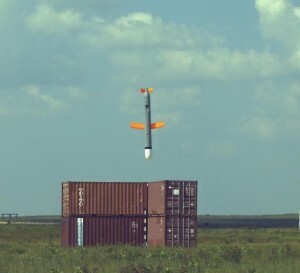 The Tomahawk land-attack cruise missile has been used to attack a variety of fixed targets, including air defense and communications sites, often in high-threat environments. The land attack version of Tomahawk has inertial and terrain contour matching (TERCOM) radar guidance. The TERCOM radar uses a stored map reference to compare with the actual terrain to determine the missile’s position. If necessary, a course correction is then made to place the missile on course to the target. Terminal guidance in the target area is provided by the optical Digital Scene Matching Area Correlation (DSMAC) system, which compares a stored image of target with the actual target image. 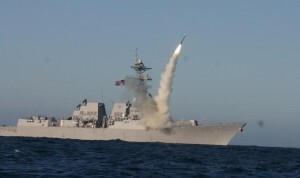 Two submarines and a number of surface ships fired Tomahawk cruise missiles during the Gulf War. According to initial US Navy reports, of 297 attempted cruise missile launches, 290 missiles fired and 242 Tomahawks hit their targets. But TLAM performance in Desert Storm was well below the impression conveyed in DOD’s report to the Congress, as well as in internal DOD estimates. During Desert Storm, a TLAM mission was loaded 307 times into a particular missile for launch from a Navy ship or submarine. Of those 307, 19 experienced prelaunch problems. Ten of the 19 problems were only temporary, thus these missile were either launched at a later time or returned to inventory. Of the 288 actual launches, 6 suffered boost failures and did not transition to cruise. Despite initial strong positive claims made for TLAM performance in Desert Storm, analysis of TLAM effectiveness was complicated by problematic bomb damage assessment data. The relatively flat, featureless, desert terrain in the theater made it difficult for the Defense Mapping Agency to produce usable TERCOM ingress routes, and TLAM demonstrated limitations in range, mission planning, lethality, and effectiveness against hard targets and targets capable of mobility. Primary Function: Long-range subsonic cruise missile for striking high value or heavily defended land targets. Unit Cost: Approximately $607,000 (FY99 $). – Block IV TLAM-E – 900 nautical miles (1000 statute miles, 1600 km). Block III TLAM-C, D & Block IV TLAM-E – INS, TERCOM, DSMAC, and GPS. 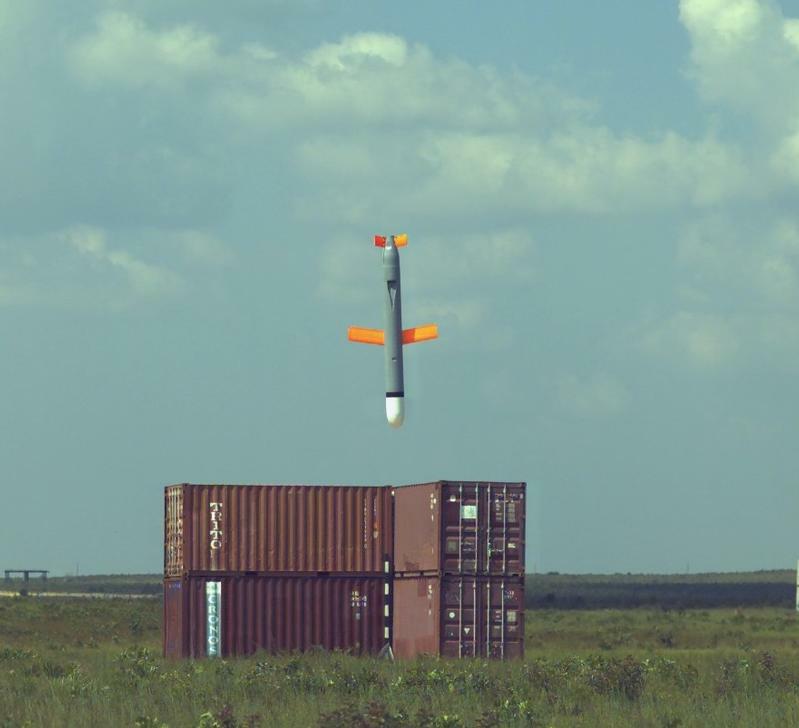 – Block III TLAM-D – conventional submunitions dispenser with combined effect bomblets.